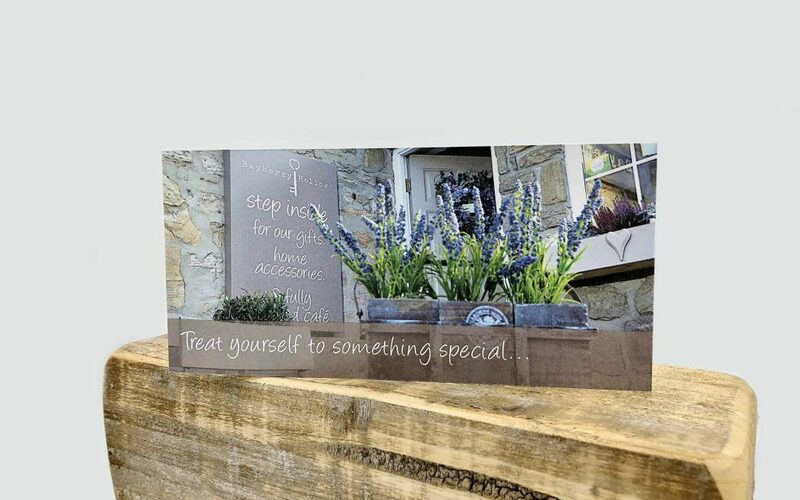 Treat a loved one or friend to a Bayberry Hollow presentation gift voucher. Our gift cards make the ideal present for anyone. Available as Afternoon Tea or a cafe/gift shop voucher, they are sure to love whatever you chose for them! Our gift cards are blank inside for you to write your own personal message inside. If you would like your voucher to be dilevered direct to the recipient, please add their name, address and message to put inside the card in the order comments section of the checkout. Valid for one year from date of issue, dates can not be extended. Afternoon tea must be booked in advance. Please note we do not serve afternoon tea on a Saturday. Guests must be over 18 for fizzy afternoon tea. Gift vouchers are not valid for any special events. No cash alternative or change is available for gift vouchers.